After a few days of cooking, the fridge is full of this and that. I play a game of “I Spy” with the fridge and reclaim Sunday’s pork roast, excavate mushrooms from the crisper drawer, and hope the red bell, which is old but not forgotten, still offers sweetness and summer crunch. But first I rummage around for the rice. There is almost always a little extra rice after every meal. It reassures us that we have more than enough, and we do not throw it out, but into the fridge it goes until needed again. Overnight, the soft pale grains become chewy, the starch coagulates around the edges and the rice is now at its best for a more glamorous makeover: fried rice. Fried rice is everything and anything I ever want it to be. Salty, chewy little bits of rice accompanied by spicy meats, brightened by slightly sweet and crunchy vegetables. A little garlic, ginger and soy sauce are important, but the rest is all imagination, and in this case, my leftovers. A few notes about fried rice. The rice must be cold and old. Freshly cooked rice is too sticky and does not “fry” properly. It instead becomes a glutinous, gooey mush. 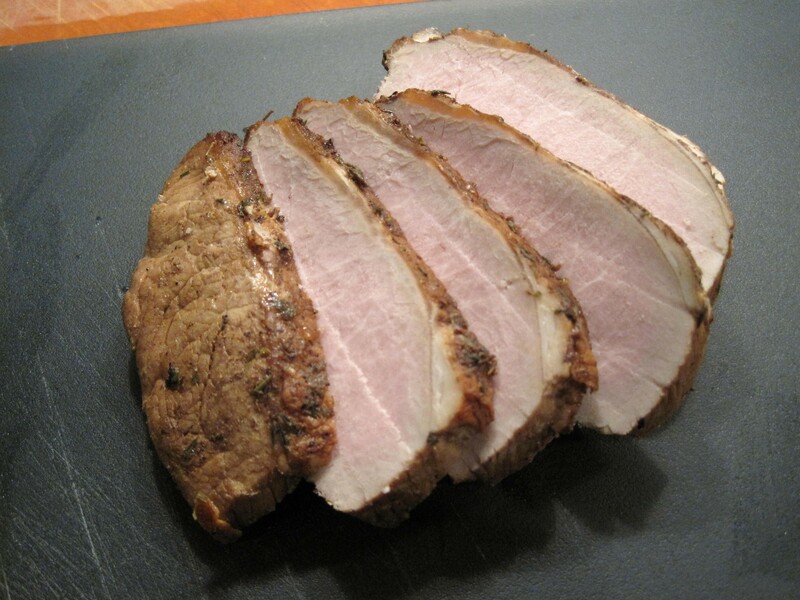 I prefer to use leftover meat that was part of another dish, which is typically roast chicken or roast pork. When making shrimp fried rice, I use raw shrimp, which I season and cook until just pink and then set aside. 2 cups raw long grain white rice, cooked 24 hours in advance and refrigerated. Rice must be refrigerator-cold. Two cups raw rice makes approximately 6 cups of cooked rice. Beat the two eggs as if making an omelette. Season with salt and a little sugar. Scramble. Set aside. Heat 1 tbsp sesame oil and the canola oil in a wok or wok-like frying pan until shimmering and very hot. This is a high heat dish, which requires one’s undivided attention. 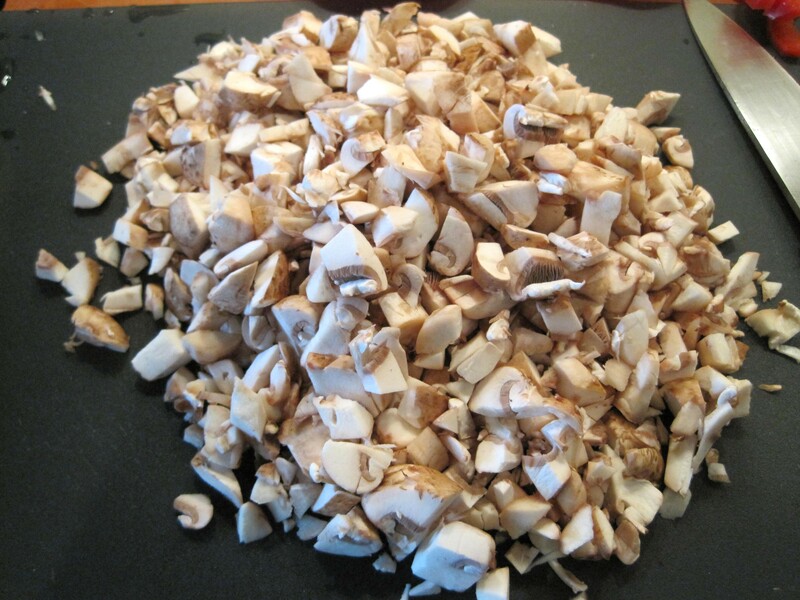 Add garlic, onion, mushrooms and sauté until mushrooms have cooked. Stir gently but constantly during cooking, otherwise the ingredients will burn. 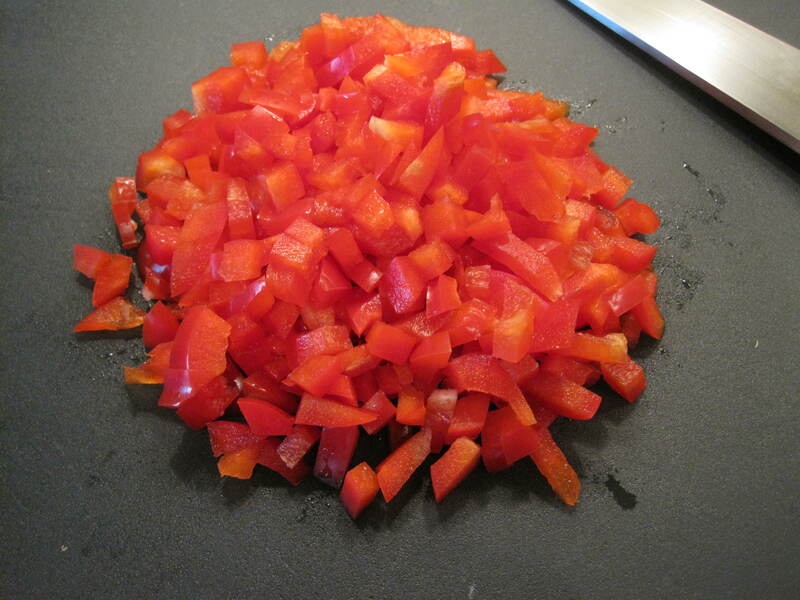 Add ginger, chili pepper, red bell pepper, edamame, and cook until just heated through. Season with salt and pepper and a sprinkle of sugar. Add cold rice, which will be clumpy and difficult to separate. Working quickly and using a potato masher, break up the rice and fold to incorporate all ingredients. Add remaining tablespoon sesame oil and soy sauce. Taste, and adjust seasoning if needed. Add a little oil too, if rice is too sticky. Wipe sweat from brow. Add scrambled egg and pea pods and create high heat pandemonium in the wok. Be fierce. Wield the wooden spatula and fling and flip and fry. About 2 minutes. The pea pods should still have their crunch when the dish is done. Served with store bought pot stickers, which I pan fried. 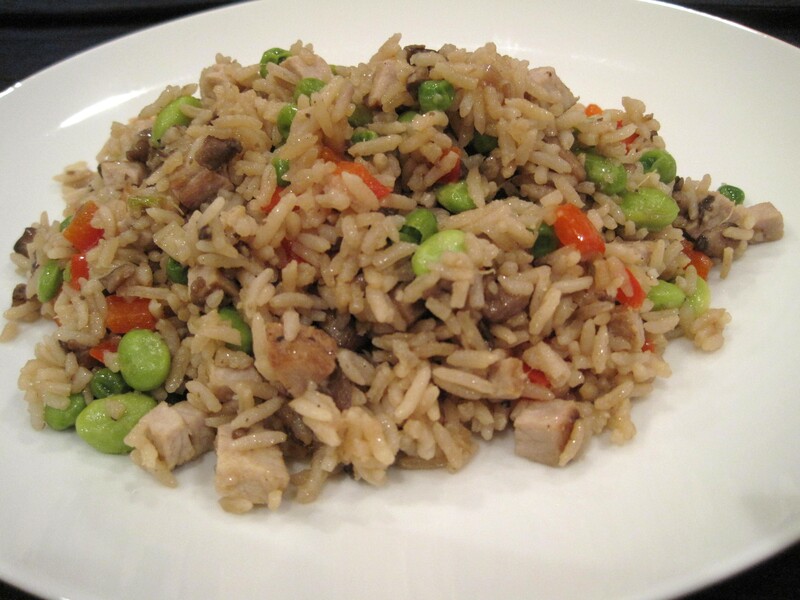 My version of fried rice did not include pea pods, but I highly recommend them. 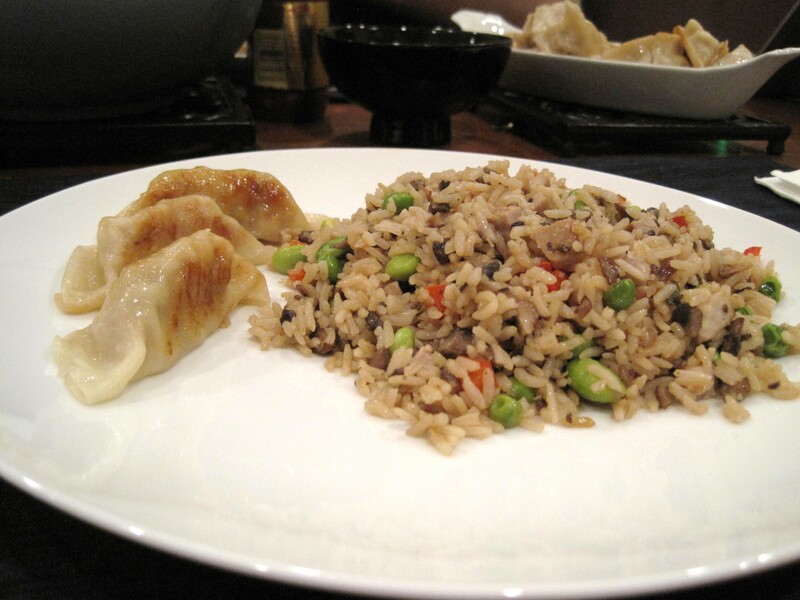 This entry was posted in Grains, Pork, Rice and tagged food, inch piece ginger, mushroom fried rice. Bookmark the permalink.